Today is day 3 of our national park motorcycle ride. Over the course of 16 days we will ride some of the best national parks, historic sites and national monuments in the U.S. and Canada (Pikes Peak National Park, Grand Teton National Park, Yellowstone National Park, Glacier National Park, Banff National Park, Little Bighorn National Historic Site, Devils Tower National Monument and Mount Rushmore National Memorial). Come follow along as we ride one of our dream rides on our bucket list. Today we are headed to Pikes Peak. We were up early and on the road. 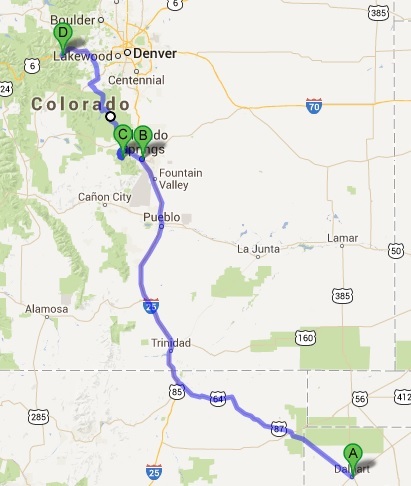 Today’s ride was 469 miles from Dalhart, Texas to Georgetown, Colorado via Pikes Peak. 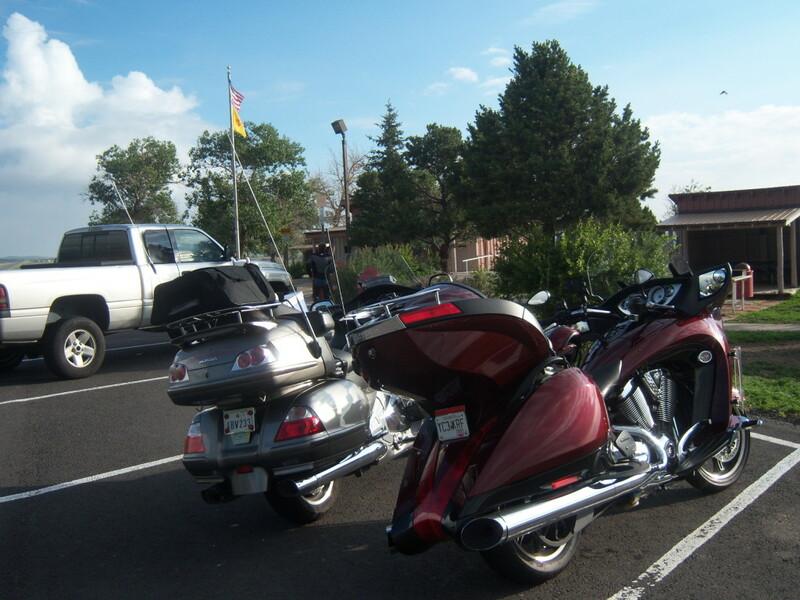 From Dalhart we rode Highway 87/64 to Raton, New Mexico. It was a pleasant 62 degrees with cloud cover that looked as though it could rain at times. 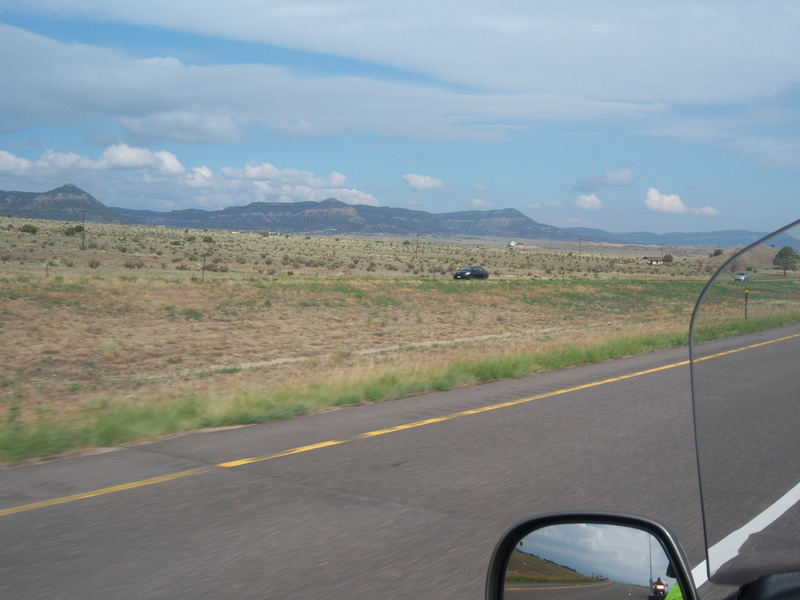 It was a scenic ride through the great plains of Northern New Mexico. Miles and miles of ranch land with rolling grass-covered hills and Prairie. Everything is “few and far between” with the occasional barn, home, windmill, cattle and pronghorn antelope. 100 miles out of Dalhart we rode past Capulin Volcano National Monument. Because of the number of miles we are riding today, and since we stopped here 5 years ago on another ride, we elected to ride on. If you are in the area I would suggest you and stop. Capulin Volcano began over a million years ago. Recently, Capulin has been a hub of activity as native people traversed across the Great Plains. The ride to the top of Capulin spirals around the volcanic cone and has spectacular views. It’s not for the fain of heart as the road is narrow and fairly steep with a shear drop off on your right going up. The panoramic views from the top are incredible. There are views of other extinct volcanoes, snow-capped mountains, and views of New Mexico, Oklahoma, Texas and Colorado. 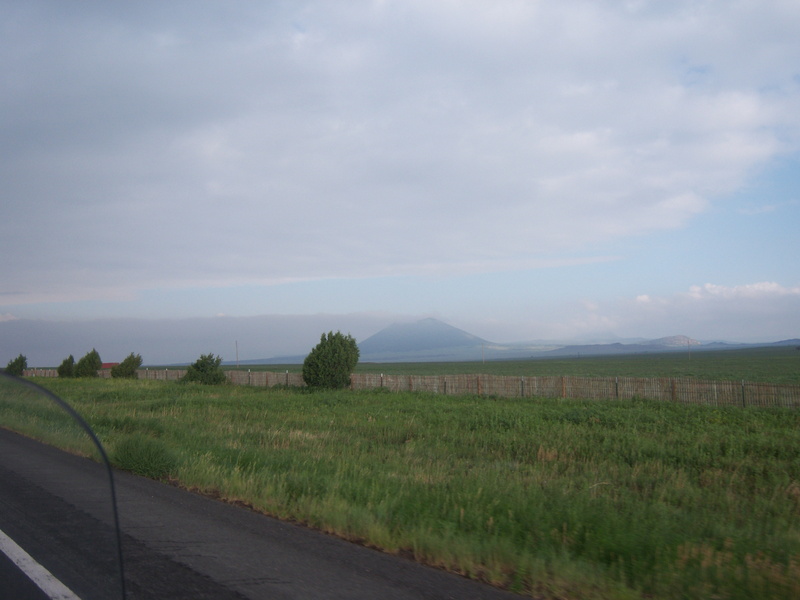 All around Capulin are large volcanic fields with over a hundred recognizable extinct volcanoes. At the top you will gain insights into 10 million years of the geological history. So take some time to see this unique site. The ride over Raton Pass is always a highlight on this route. My first time to ride Raton Pass was 36 years ago. Raton Pass’ elevation is 7834 feet/2388 meters and is designated as a National Historic Landmark. 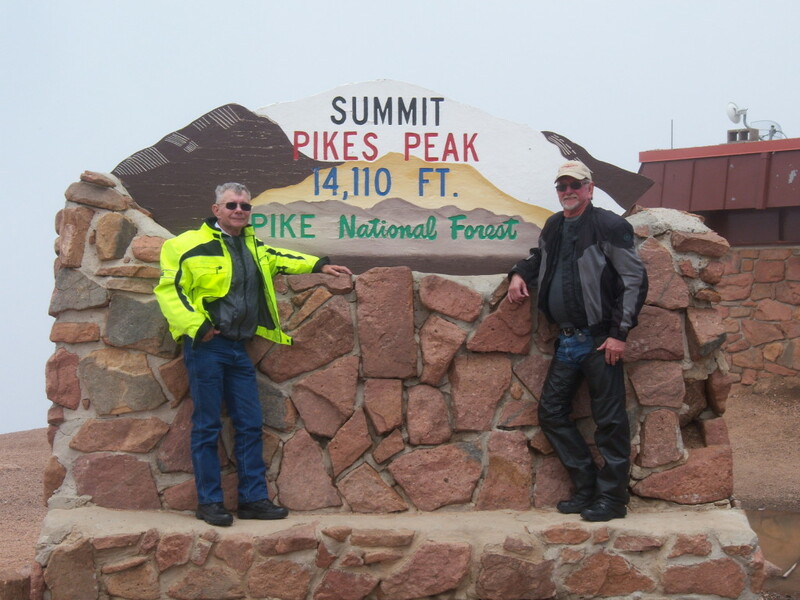 From Raton Pass we ride up I-25 to Colorado Springs and to the top of Pikes Peak. 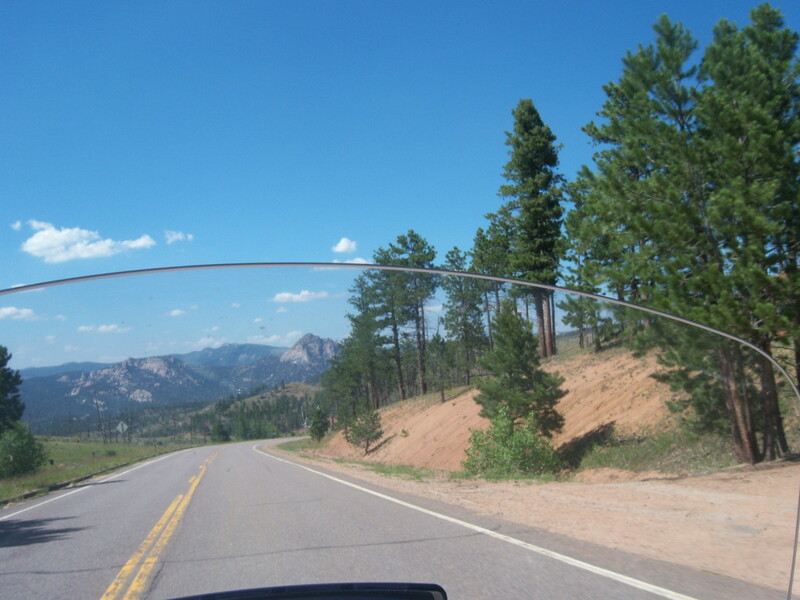 The Pikes Peak Highway is a breathtaking scenic 19 mile ride to the summit. The terrain and scenery varies along the ride. The road is a tollway. When you pay the toll you receive a map and brochure. You need to take a look at the map to see where there are pullouts for photo opts. 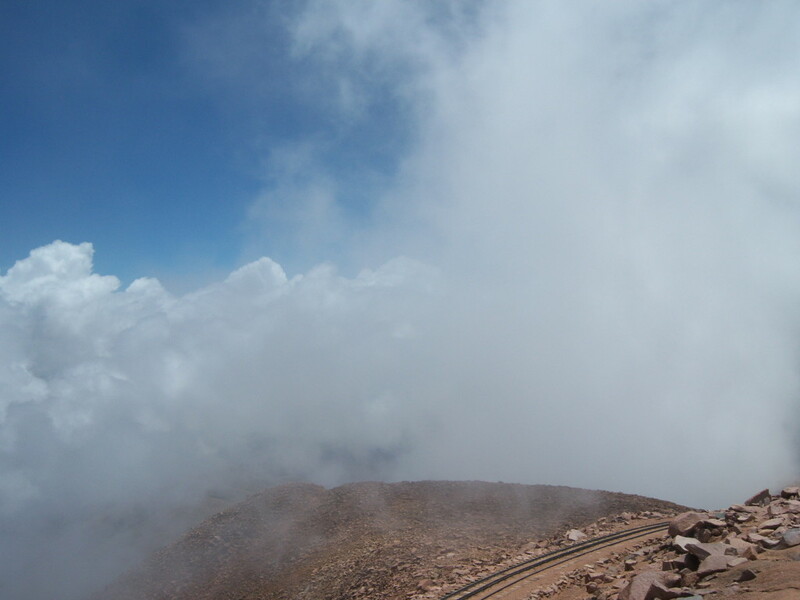 The last time I was at Pikes Peak was also in July, many years ago. As soon as we reached the summit it started snowing so hard we were unable to see anything beyond a few feet. Today it was cloud cover that spoiled our view. Part of the ride to the top was difficult in spots for 2 reasons… 1) The clouds made it difficult to see very far ahead. It was nice to see the hair-pin-curves on the GPS ahead of time. 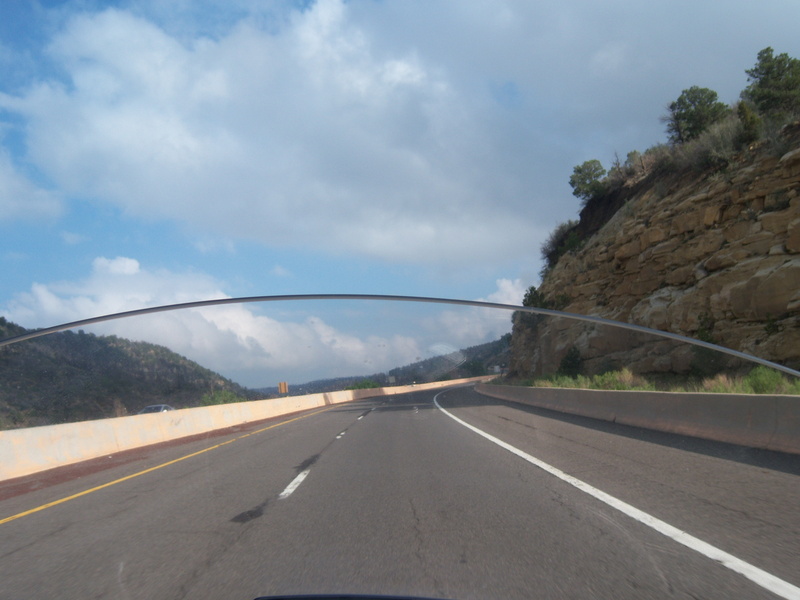 2) We were following a car that slowed almost to a stop in the hair-pin-curves. After the first one I put a lot of distance between us to give them plenty of time to get through the curve. From Pikes Peak we headed to Georgetown. Yes, Georgetown is a popular town name. It seems that just about every state has a town named Georgetown. When Janet and I lived in Colorado Georgetown was a favorite day trip for us. This is why I picked it as the destination for today. We took Highway 67 to I-70 to Georgetown. This is a very scenic route which took us through Evergreen another favorite day trip destination for Janet and me. 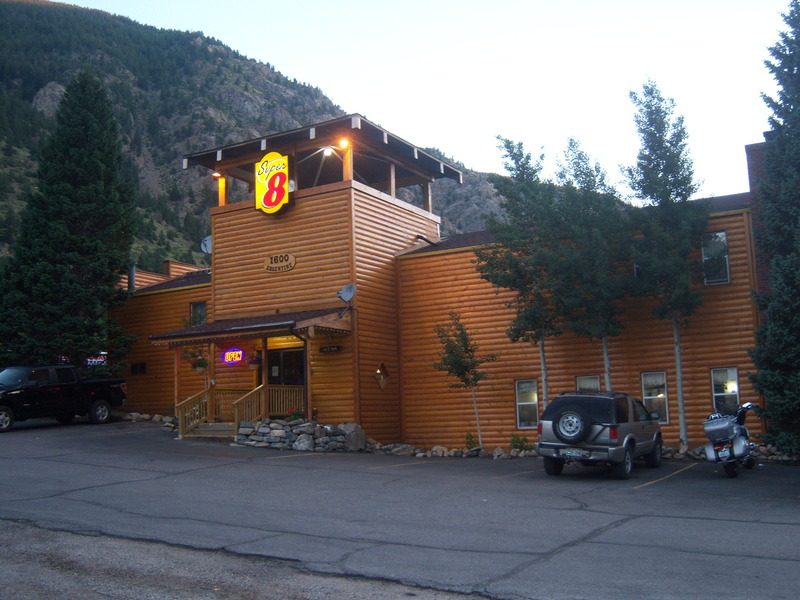 Georgetown, Colorado has many attractions that include the Georgetown Loop Railroad, Hamill House, and Hotel de Paris Museum. Georgetown is a quiet little town, just off busy I-70 an hour west of Denver. Today was a great ride through some beautiful scenic country and I got to finish the day catching up with and old friend. Tomorrow we ride on to Pinedale, Wyoming through more beautiful Rocky Mountain scenery. 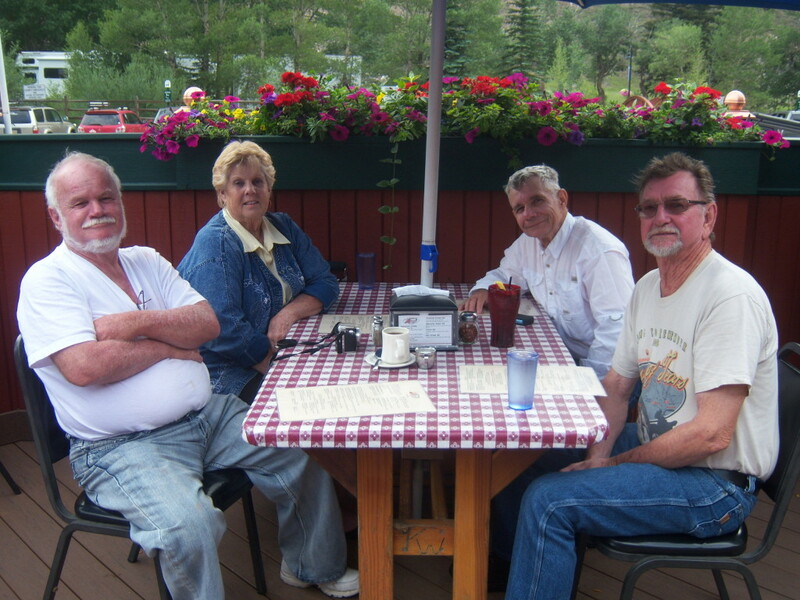 This entry was posted in Motorcycle Touring Logs and tagged 64, 67, 87, Australia, blog, Capulin, capulin national monument, Colorado, Dalhart, Dallas, evergreen, george town colorado, Georgetown, Great Plains, Houston, Hwy, I-25, I-70, Jimmie Jarrell, monument, Motorcycle, motorcycle ride, motorcycle riding, motorcycle road trips, Motorcycle Touring, motorcycle travel, motorcycle trip, mt capulin, Nation Parks, Native, New Mexico, panoramic, people, Pikes Peak, pikes peak hwy, Pine, Pinedale, Raton, ride, Sydney, Texas, touring, travel, views, volcano, Wyoming. Bookmark the permalink.